Gala dinner pays homage to the ingenuity of producing architectural masterpieces through creative science. 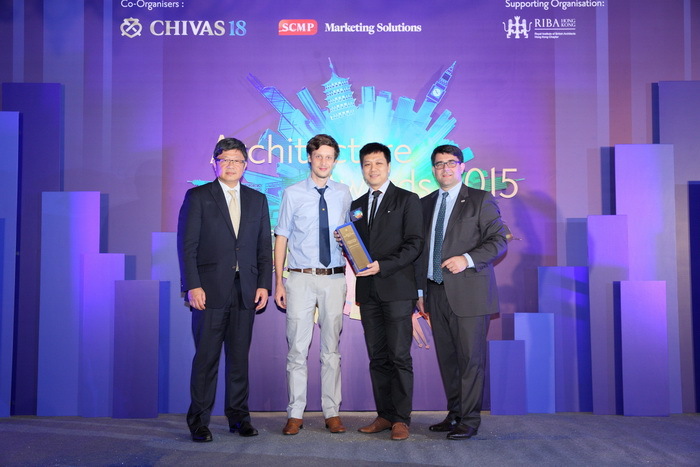 The winners of the Chivas 18 Architecture Awards 2015 were revealed on May 28 at a gala dinner, attended by the city’s architectural elite at the Conrad Hotel. 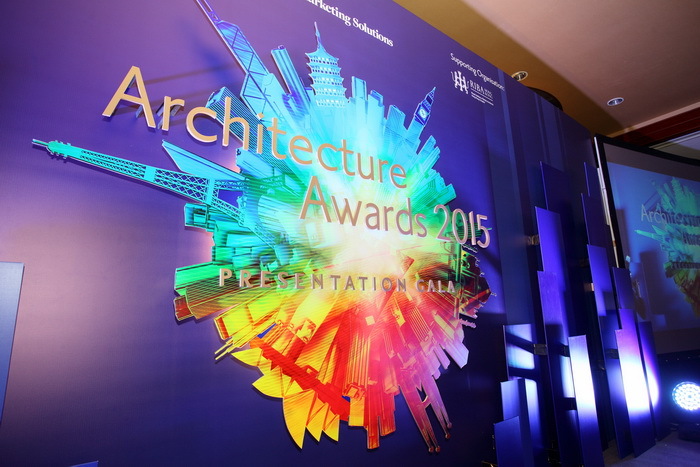 Following the success of last year’s inaugural edition, the awards continue to recognize the efforts of Hong Kong’s most outstanding architects and to enhance public awareness of the architecture sector. 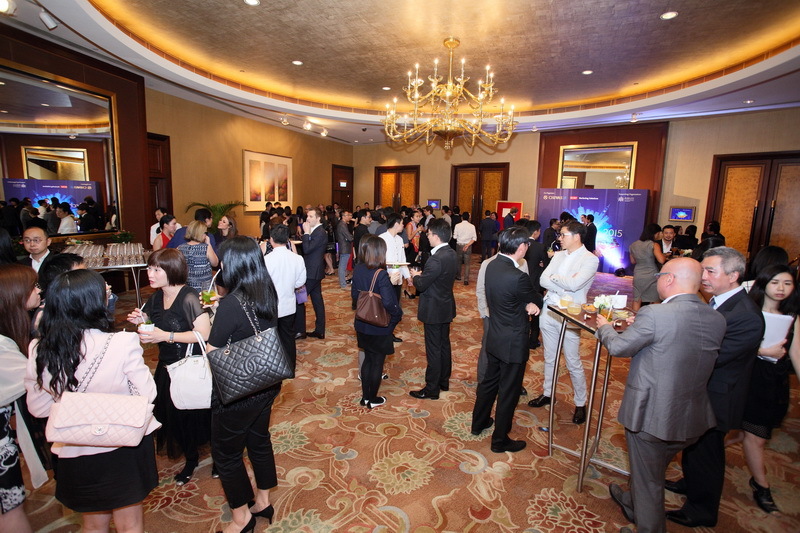 Co-organized by Chivas 18 and South China Morning Post Marketing Solutions, the wards commemorated the ingenuity of blending art and science to produce architectural masterpieces. The Royal Institute of British Architects was also a supporting organization. This year’s theme continued to celebrate “The Art of Blending”, but unlike last year, the focus was on the architects rather than the building. The organizers believe that architectural masterpieces are created by man, much like how the perfect blend of Chivas 18 whisky is created by master blender Colin Scott. Participants were free to define the elements of blending however they wanted, and to submit projects they believe fitted the theme.l this year, there were four new classifications---heritage architect of the year, interior architect of the year, temporary projects architect of the year, and future projects architect of the year. 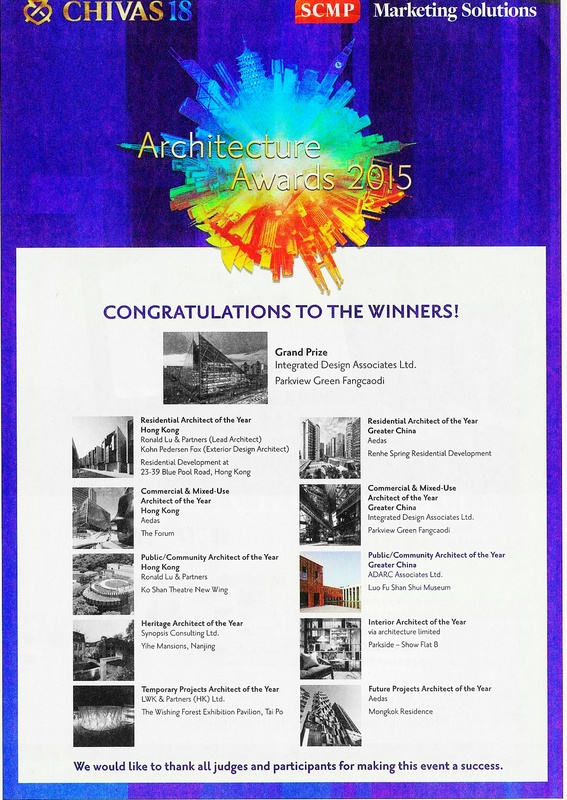 The public/community architect of the year (Greater China) award went to ADARC Associates. The competition was judged by some of the city’s leading architects. Keith Griffiths, chairman of Aedas International; Bryant Lu, vice-president of Ronald Lu and Partners; and Stephen Jones, director of Woods Bagot, returned to the judging Panel this year. 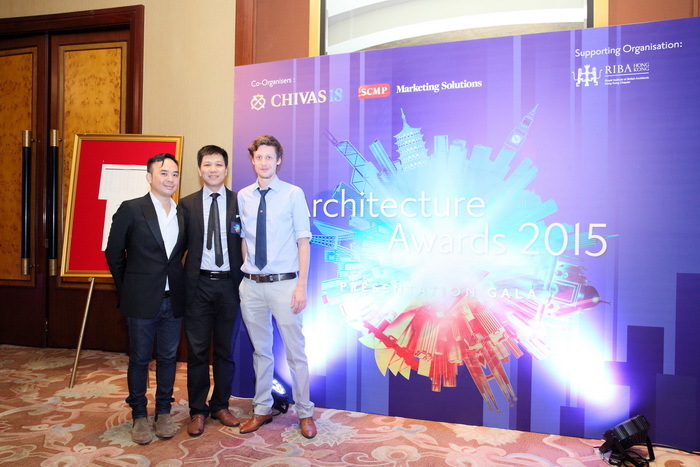 Adding fresh perspective to the awards were Nick Cordingley, design partner at 10 Design, and Bernard Lim, principal at AD+RG and an honorary adjunct professor of the Chinese University’s architecture school. The five judges were excluded from voting on entries from their own companies. ADARC Design Director Dr Allan Ting, Project Director Mr Kenneth Leung, and Design Manager Peter Upmeijer attended the award presentation gala dinner.